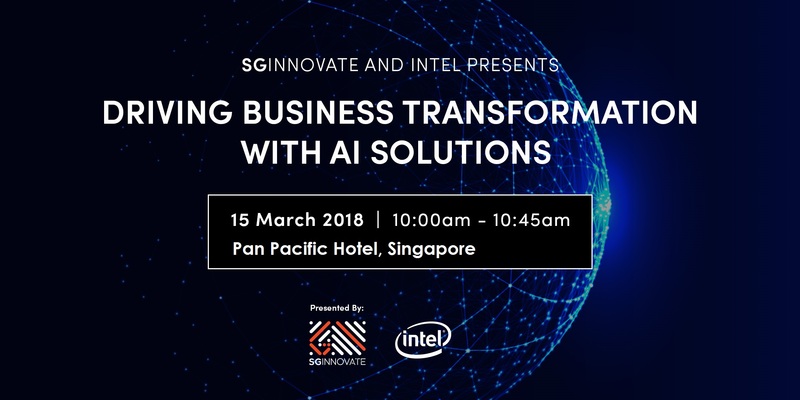 Join IAG Firemark, SGInnovate and our expert panellists as we explore the key trends and counter trends in the history of AI hype-cycles; delve into the limitations of Machine Learning; and examine what breakthroughs and enablers are needed to surpass these limitations. 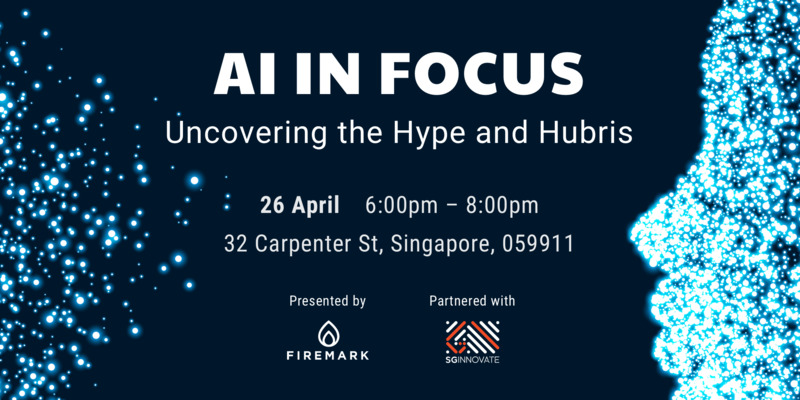 Finally, we share our views on the future of AI and what this means for investors, corporates and start-ups alike. As AI becomes the new general purpose tool like electricity and internet, governments and nations are investing billions of dollars into the technology. Some countries are regulating it while others adopt a wait-and-see approach. 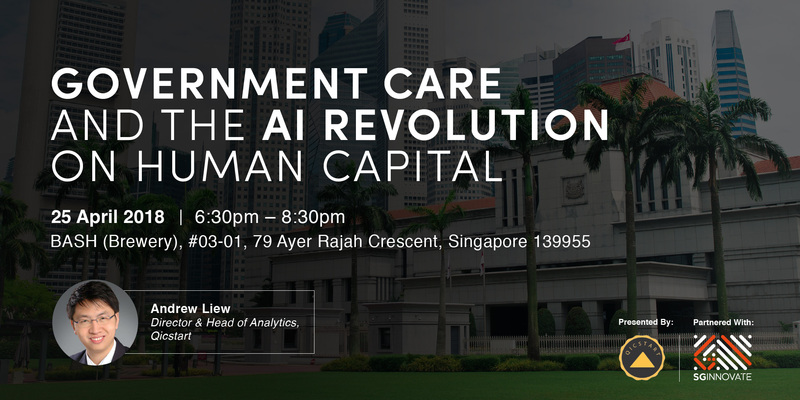 How would AI affect society, and what should government bodies do and take into consideration in order to maximise the benefits while minimising the risks and societal costs of a global adoption of AI? 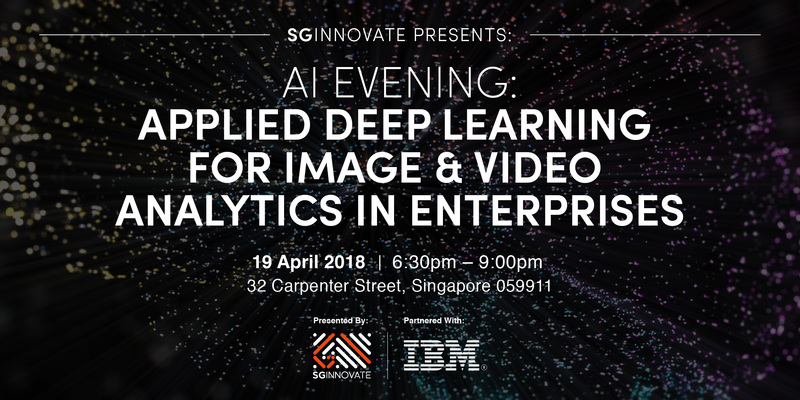 Join SGInnovate and IBM on 19 April as we delve deep into image and video analytics and applied deep learning in enterprises, with practical use cases in healthcare, agriculture, civil defense. 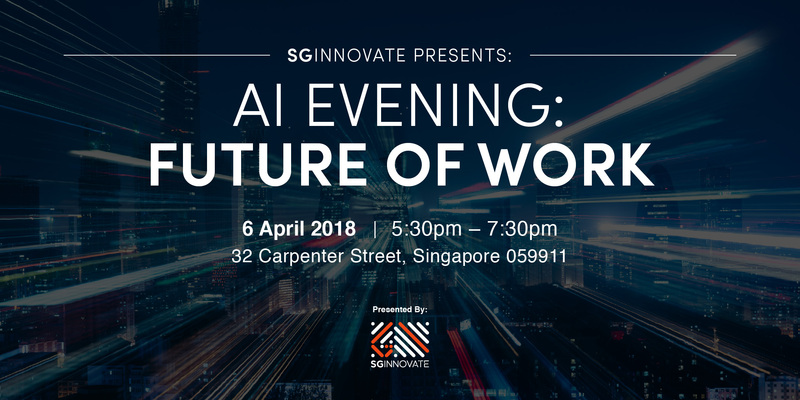 Join us for two AI-focused conversations on 6 April at SGInnovate, centred on personal AI agents and whether the future of work is powered by augmented or artificial intelligence. 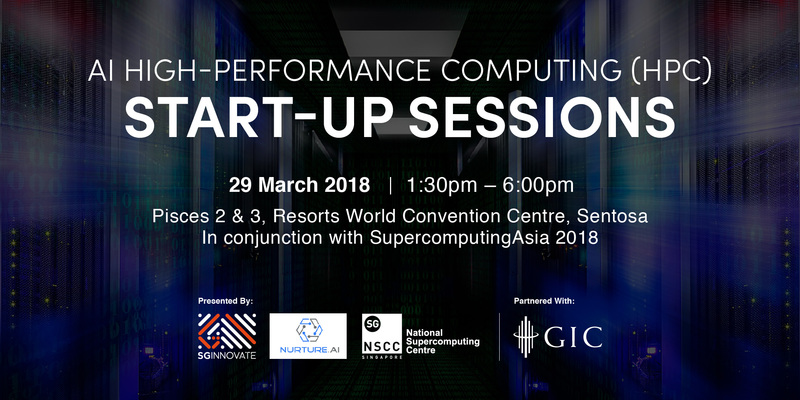 In conjunction with the inaugural SupercomputingAsia 2018, SGInnovate, Nurture.AI and the National Supercomputing Centre are presenting a dedicated conference track on AI High-Performance Computing (HPC) for start-ups, in partnership with GIC, with panel discussions on AI HPC in data science, fintech and biotech. 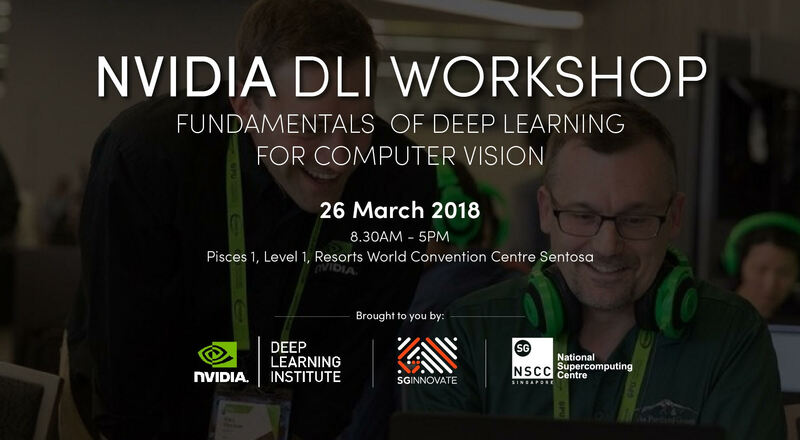 Organised by NVIDIA, SGInnovate and the National Supercomputing Centre, the NVIDIA Deep Learning Institute (DLI) offers hands-on training for developers, data scientists, and researchers looking to solve the world’s most challenging problems with deep learning. DLI is excited to announce this one-day practical Deep Learning workshop at SupercomputingAsia 2018 (SCA18). 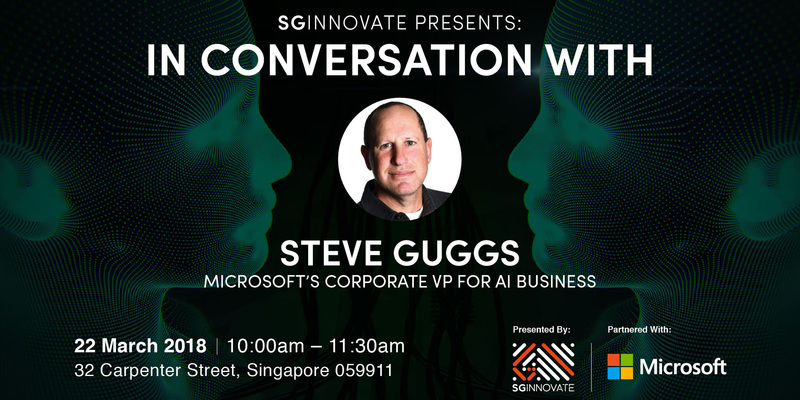 Join SGInnovate and Microsoft’s Corporate VP for AI Business, Steve Guggs, in an exclusive fireside chat on Microsoft’s latest developments in AI and how the company’s deep investments in the field are advancing the state of the art in machine intelligence and perception, enabling computers that understand what they see, communicate in natural language, answer complex questions and interact with their environment. High-impact deep learning applications from machine translation to self-driving cars are transforming the global economy, and enterprises have begun to deploy deep learning to unlock new opportunities and achieve a competitive and strategic advantage. 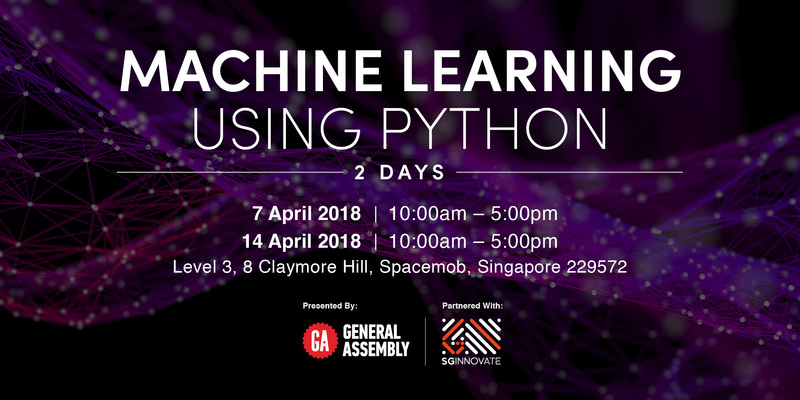 Join SGInnovate and IBM as we explore the vast potential of deep learning through this four-part series. Artificial intelligence will be a key driver in the global precision medicine market, which according to Global Market Insights Inc. is expected to grow to USD 87.7 billion by 2023. Brendan Frey, the CEO of Deep Genomics, was quoted in the MIT Technology Review, saying “For the first time in history, our ability to measure our biology, and even to act on it, has far surpassed our ability to understand it. The only technology we have for interpreting and acting on these vast amounts of data is AI. 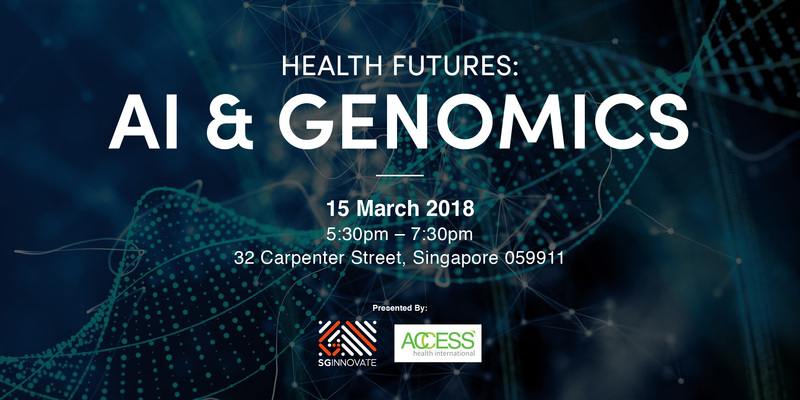 That’s going to completely change the future of medicine.” The result will be more targeted therapeutics and risk reduction models, leading to better clinical decision support across disease areas. Artificial Intelligence (AI) is enabling a data revolution that will transform business and government, creating new opportunities for growth and innovation. Early AI adopters across industries are uncovering new and significant breakthroughs based on deep information within data. AI is paving the way to solve highly complex medical challenges, advance scientific research, improve business agility, and better predict events and human behaviour.